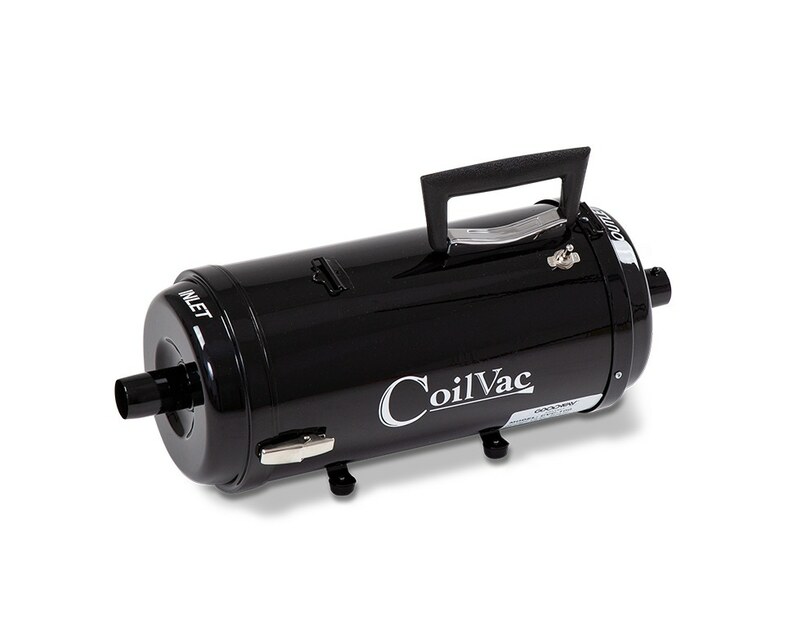 The CoilVac® Dry HEPA vacuum is so effective at removing heavy deposits from HVAC coils, you'd swear it were a water-based cleaner if you didn't know better. Not only does a 4 HP motor provide you with powerful suction action, it also doubles as a blower with two speeds in either setting. How's that for versatility? This reliable HEPA cleaner with a four-stage filter allows only safe air to pass through its exhaust. It also includes a variety of accessories designed for every tight corner and hard-to-reach space you're likely to encounter. An optional Dolly Mounting Kit makes the CVC-100 the perfect companion for your other quality Goodway coil cleaners, like the CC-140 CoilPro®. CVC-100 CoilVac filters, steel tank 6' vinyl crush proof hose, two piece 36'' wand, 19'' flexible extension wand, 3'' dual bristle dusting brush, 3'' long bristle dusting brush, 5'' blower/bulk pickup nozzle, 28" flexible crevice tool, 6'' flat brush and 48'' shoulder strap. Static Water Lift: Maximum 90"
Use CoilVac Dolly Mounting Kit to attach the CoilVac to a CC-140, or CC-600 CoilPro Coil Cleaner. Goodway's genuine replacement Shoulder Strap for CoilVac Industrial Vacuum. 48" in length. 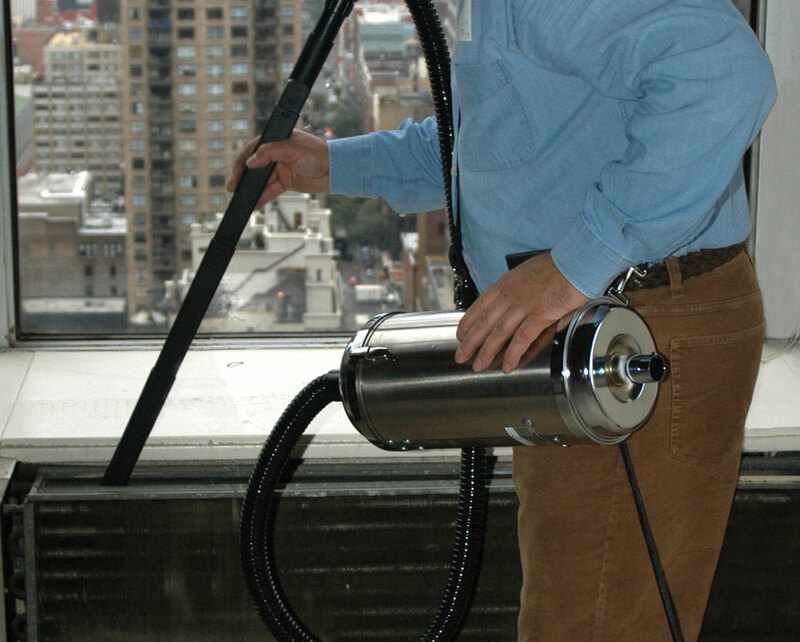 Extend your cleaning reach with this two-piece 36" extension wand for CoilVac coil cleaning industrial vacuums. Single piece 25" flexible flat wand extends your cleaning reach and improves cleaning performance. Long Bristle Dusting Brush from Goodway, has soft, long bristles that provide safe dry coil cleaning. Brush sensitive coils with confidence with our Dual Bristle Dusting Brush 3" for the CoilVac Industrial Coil Vacuum. High quality, Replacement Foam Prefilter for CVC-100 Coil Vacuum allows for better filtering of larger particles, prior to reaching additional filters. 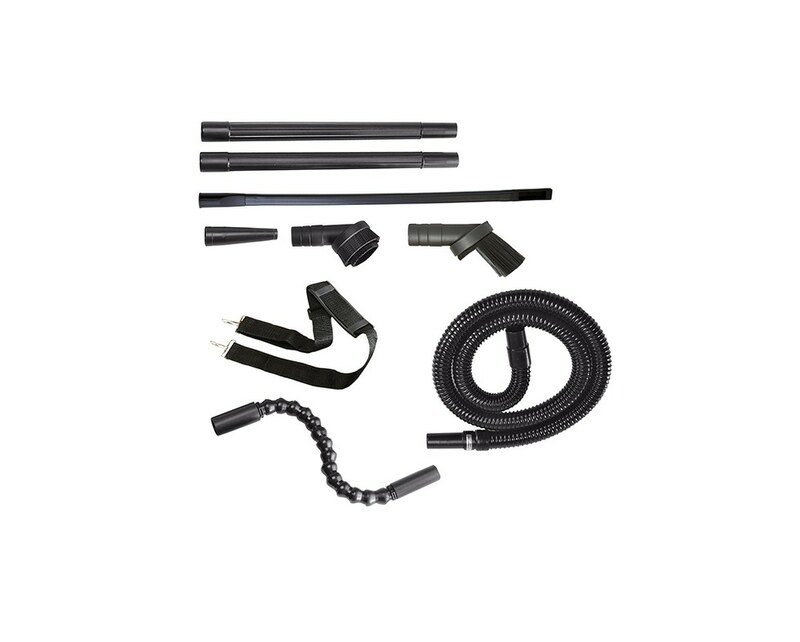 Replacement 1-1/4" x 6' hose for CoilVac Dry Vacuum is vinyl, crushproof and made from high quality components. Replacement Blower/Bulk Pickup Nozzle is made for use with Goodway's CoilVac Industrial Vacuum Cleaner. It allows for bulk pickup of dirt and debris in and around coils.